The Kelihat Middlesbrough Newsletters focussing on the Middlesbrough Hebrew Congregation evoked many memories.Whatever happened to Rita Brisk, nee Benjamin? Searching for further enlightenment led me to her home deep in the heart of rural Cheshire. Rita, much loved daughter of the late Rhoda and Horace Benjamin and twin sister of Geoffrey, who sadly died recently. She married Maurice Brisk of Manchester, a company director, music lover, sportsman and well-known "Ace" bachelor to name but a few accomplishments. They were to travel world wide together during their long and happy partnership. Maurice passed away in his 98th year. Rita describes their long mutually shared life as "Times" blessing. Rabbi Miller officiated at their wedding in 1949 and the whole community celebrated the event. Blessed with two daughters, Jane and Susanne and four lovely grandchildren, indeed a rich family harvest. Writing since ten years of age, educated privately at Collingwoode School in Middlesbrough and boarding school in Harrogate, Rita joined the North Eastern Evening Gazette as a cub reporter. She learnt word structure and word power, which has served her well. Both the twins served in the Navy in Word War II, Geoffrey in the Royal Marine Commandos. Mentioned in despatches, his Commanding Officer commented he made light work of heavy going. Rita joined the WRENS and experienced "Operation Overlord"—D.Day. This experience was to prove indelible. After demobilisation she wrote her first book, "Jenny Wren" which lies in London’s Imperial War Museum and is regarded by their Curator as a graphic, moving account of World War II. "The Song of the Seasons" with the Duke and Duchess of Westminster’s personal foreword is now part of the London British Library’s heritage collection. Royal Family profiles of the Prince of Wales and the later beloved Princess Diana and the Queen Mother, have Royal commendations which are valued family possessions. 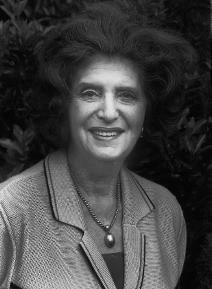 The Manchester Sketch, Jewish Life Magazine and the Recruitment Journal all contained her many literary diversities. "Dawn and Dusk", a collaboration with an Austrian author, now Israel-based, explores the Nazi Tyranny leavened with Rita’s Love Odes. Future plans include lecturing to schools on World War II and Word Power. Finally, I have many sentimental links with the Middlesbrough Community. Her paternal grandparents Jane and Hyman Benjamin brought to that town Judaism with a sense of Englishness. Charitable mitzvah was their intrinsic gift. The first founding family whose son Horace Benjamin followed in his father's tradition. Both served as Presidents of the congregation, for many years. Horace Benjamin was beloved of all who knew him. Rev Kersh referred to him as "A prince of Israel"- Wise kindly and courteous, his lasting keynote. Accorded the military medal in World War I for gallantry on the Somme. Rita, Founder Fellow of the International Poetry Society and International Academy of Poets, Cambridge, continues her literary journey with a novella "A Fine Romance" and yet another collection of children's verse, "Favourite Choice", with illustrations by her youngest granddaughter, Rosemary. Writing if good enough is "eternality"; today’s litterateurs value the past but achievement lies within their Present. Rita Brisk epitomises that creativity. Memory remains integral illumining "The Long Gallery of Life"
nosed their way to the French coast. to go to war with a smile and a song? great people and of an even greater country.